The roving striped bass is pound for pound one of the hardest fighting fish in the water. Known for their reel screaming runs, these fish epitomize the meaning of the term “game fish”. 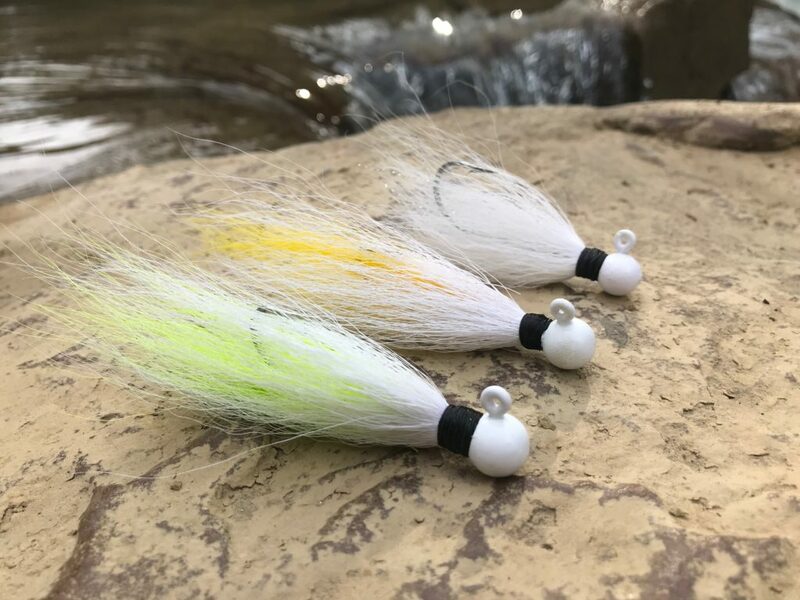 Shad represent the lion’s share of a striped bass’ diet; therefore, our Striper Series jigs were designed to mimic this marauder’s primary prey. Striper Series jigs come in 3/8 and 1/2 oz. jig head sizes featuring corrosion resistant Eagle Claw Seaguard finish hooks.